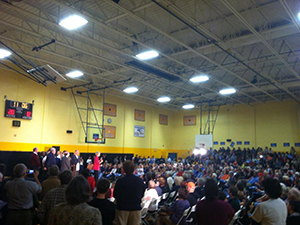 More than a thousand people came to Elizabeth’s rally in Worcester this weekend. Incredible, right? But that’s just the beginning. 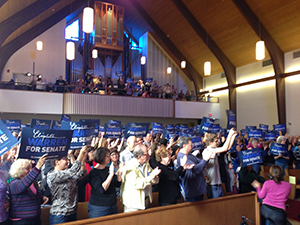 Then our supporters filled a whole church for a rally in Beverly. And a union hall in Hopkinton. And a high school gym in Northampton. I even think everyone in Shelburne Falls — population 1700 — showed up to watch the Pats game with Elizabeth at the pub. 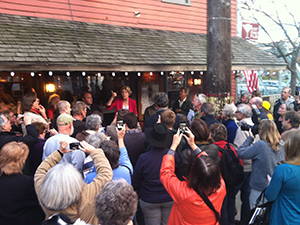 It was so packed with supporters, she could barely get in the bar! 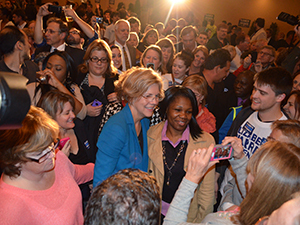 I want you to know — even if you can’t meet Elizabeth at a campaign stop, your grassroots support is making a difference. 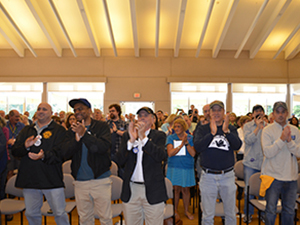 You’re the reason why Elizabeth is able to speak to so many people across Massachusetts about what’s at stake in this election — on TV, radio, online and in person. We’ve only got 15 more days until the election — and your final support could be what pushes Elizabeth over the top. Thank you for all you’ve done to make this possible.